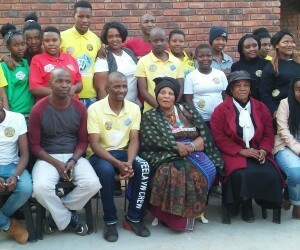 In attempts to counter the challenges of poverty, inequality and unemployment in the community, the Marishane Youth Development Forum has identified science, technology and innovation as a pivotal sector that will assist and encourage all sectors in the community to collectively work together towards implementing the National Development Plan 2030 Vision. "We're gathered here in our community of Marishane as the youth leaders of our different villages to contribute our tiny bits of material substance towards the development of our fellow people, especially the pupils. Ours is to revive the brand legacy of our elders by continuously holding it high for sustainability. We're thus honoured to have in our midst, our colleagues from other provinces, who've left their commitments in their workplace to be with us today to add value to the little we have to offer to the villagers", said the national VW Lemapo Crew President, Mr. Barney Masemola. As part of the Marishane Youth Development Forum, we acknowledge that VW Lemapo Crew was first introduced to the community through the local authority of GaMarishane in 2011 led by the founding President, Mr Barney Masemola. 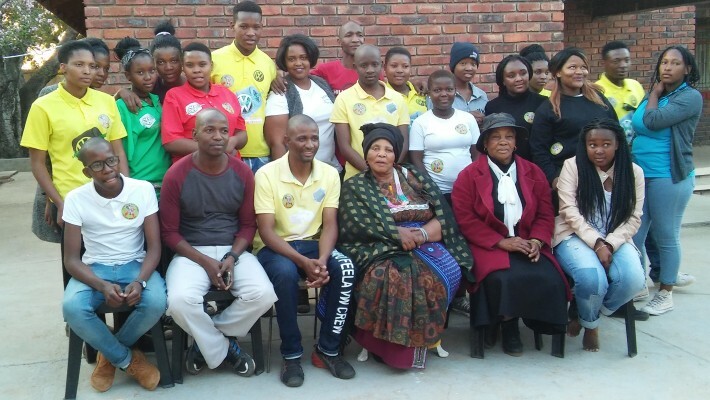 The VW Lemapo motor club has since grown in heaps and bounds that they implement their socially responsible programs each year to uplift the community supported by the Marishane Office. Noting the need for health education, the crew have this year partnered with the Marishane Council of Educators, Marishane Council of Health Professionals and Marishane Sport Federation to leverage impact, mindful of the fact that the challenges of sexual reproductive health require attention of skilled professionals. "On behalf of the Marishane Authority, we're very much astonished and delighted to receive visitors gracing our community for positive causes advancing human, animal and natural development. We're equally pleased to witness our people noting the socio-economic ills presented by globalisation facing our people in the community and making initiatives to counter them", concluded SA's Youth Development Ambassador Koketso Marishane. *Koketso Marishane will be speaking at the Skills Development Summit at the CSIR in Pretoria on 31 August and 1 September 2017.